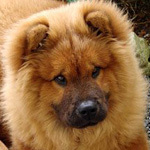 One of my dogs, a 7 months old chowchow pup has had food allergies since she was 4 months old. After changing 3 brands of dry foods, i am now feeding her Taste of the Wild pacific stream puppy (Salmon formula). And i am willing to continue with her current food since this is the best in the market here, until she becomes 1 year old, then i will change her food to a low protein formula. Until then, Caysee continues to have itchy skin and she has a pink spot near her thigh, where she constantly bites and pulls on. Her hair in that area has started to fall off. And i want to know from the experienced if these shampoos will do the trick of relieving the itch and reducing redness. As a permanent use and a solution that is. PS: i do not favor the use of oatmeal shampoos since i have read that oatmeal promotes yeast infections and i live in a warm climate. Re: Head & Shoulders or Nizoral for itchy skin? I found a shampoo that worked miracles on my dog with allergies. http://equiderma.com/for-the-love-of-dogs/ This shampoo Contains Neem oil, Neem Leaf Tea, Chamomile, Arnica, Pine bark, Basil, Cherry bark. Simone had hot spots and allergies and would scratch and chew herself raw in numerous spots. She had instant relief with this product. I lathered her up and left the product in her hair for about 20 minutes; rinsed and followed up with the conditioner. I repeated this for a couple days. The product is safe to use daily if necessary. After a while I only had to bathe her monthly to keep the itchies under control. As soon as she began chewing on herself, she was given another bath. Hi Cindy thank you for the info! They also seem to ship to my country. But i'm worried this would cost me alot to ship plus taxes. No experience with either of the products. If you want to avoid oatmeal mixes, maybe a tea tree product. My female loves to pull fur when in heat (but never any other time), and a conditioning spray seems to do the trick. Not sure if she dislikes the taste or if it reduces the itching, but either way it works for us. The pink spot is most likely a Hot Spot. These can be caused by almost anything from food allergies, warmer weather, or simply pulling at a certain area out of boredom. They tend to have a bacterial infection and if they continue you may want to look into a prescription spray designed to actually medicate the area. I took her for a check up today, she has an infected ear.. the vet said that her skin is not infected so it is possible that she is scratching because of her ear, or out of boredom.. In all cases, i will check for similar products to those mentioned above and give it a try. (I talked to the 1st vet again and he just said that, this will be your life with chowchows and you have to get used to it, without any further explanation or solution). The hair loss patch is getting larger due to the excessive scratching, and she has been doing it for weeks. Just the usual commercial puppy shampoos like the ones i already have..
As i emailed equiderma as soon as Cindy told me about them but they did not respond. Her skin is normal and clean, no redness or sores... just scratching for no apparent reason at all. The pink color i mentioned earlier is due to the scratching and it goes away after a while.. I would like to add some information.. possibly this might help. The weather started changing here about a month ago and it is the fall season. There have been lots of ups and downs in temperature and humidity levels. And the weather change coincided with me switching her food from Bison and Venison (TOTW high prairie puppy) to Salmon (TOTW pacific stream puppy). My other dog is shedding but she is not. She used to have inflamed hotspots before but now she doesnt.. only this mysterious scratching. It is safe for dogs to have Benadryl. When tree pollens are high I give Chance two Benadryl. I sneak them in a dab of cream cheese and wrap them in low sodium lunch meat. He thinks they are the best treat EVER! This helps a great deal with allergies. I am surprised Eqiderma has not emailed you back. Their shampoo is expensive but lasts a long time and well worth the money that we saved in vet bills. Yes Equiderma haven't responded to my email yet. So.. i will keep looking here for something similar. Update: Equiderma stopped the itch. After getting desperate, i called Equiderma in mid december to ask about their product and place my order. It seems they did not receive my previous emails and they are very nice people. I ordered the shampoo and the lotion as per their recommendation. The products are based on neem oil and other natural ingredients. 1- My dog used to love getting scratched on about 60 to 70% of her body, mainly her back and ribs area. 2- she had 2 spots on her sides where she scratched alot and clear balding spots were showing but with no infection or any other skin problem. 3- she had yellow dandruff under her tail. 4- she used to scratch all day almost every minute or two. Now this has come down to 1 or 2 scratches per day! But i have realized that when the lotion is applied on heavy coated spots like the neck, the skin might get redness and cause some itch for a day or two. Possibly due to increased moisture in those areas. But the end result was great. It is only my first month using this product so possibly it is too early to judge. But the difference is immense, and i recommend this product. Oh and the shampoo smells great and the hair looks great after using it..
Rory's Dad wrote: No experience with either of the products. If you want to avoid oatmeal mixes, maybe a tea tree product. My female loves to pull fur when in heat (but never any other time), and a conditioning spray seems to do the trick. Not sure if she dislikes the taste or if it reduces the itching, but either way it works for us. The pink spot is most likely a Hot Spot. These can be caused by almost anything from food allergies référenceur site web Paris, warmer weather, or simply pulling at a certain area out of boredom. They tend to have a bacterial infection and if they continue you may want to look into a prescription spray designed to actually medicate the area. But we can still eradicate or limit bacterial infections by antibiotics so that our little darlings get better.